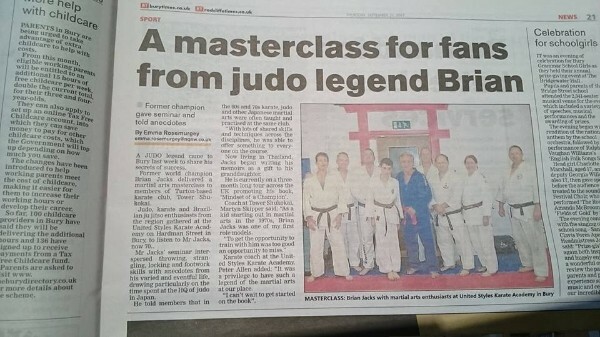 Brian Jacks achieved many significant firsts in the early days of British Judo. As a junior, he was the first Briton to win a European title. As a senior he was the first to take a full European title. 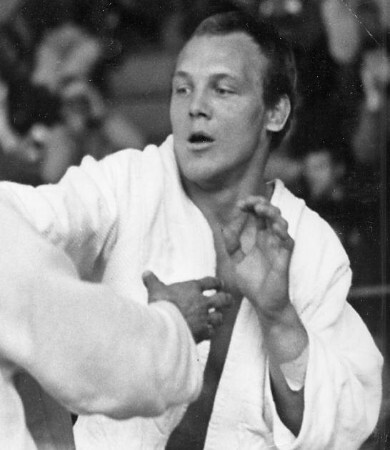 He then went on to be the first to take an Olympic medal (bronze in Munich in 1972) and the first to win a medal in the World Championships (bronze in Salt Lake City in 1967). His success in Judo led him to the 1970’s TV show “Superstars” in which leading athletes from a wide range of sports competed in tests of strength, speed and skill. Jacks was notably adept in the gym tests and for some years became a household name for his success in the programme. Currently resident in Thailand he was persuaded by his son to write his memoir as a gift to his granddaughter. 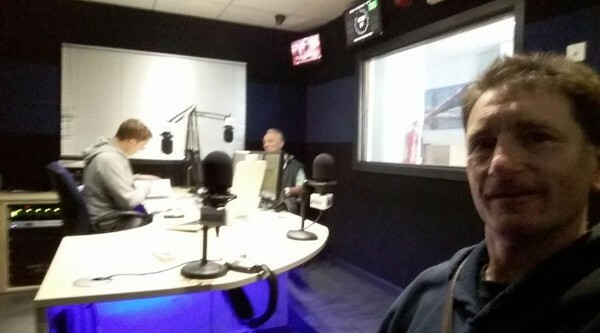 The self-published book is entitled “Mindset of a Champion” and Brian has embarked upon a three-month tour of the UK to promote it. 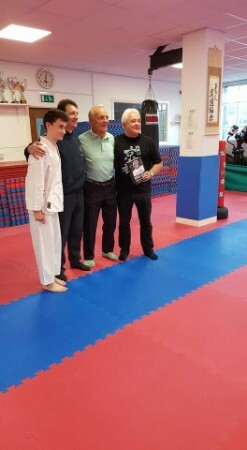 East End born Jacks, now a spritely 70 years old interspersed throwing, strangling, locking and footwork skills with anecdotes from his varied and eventful life, drawing particularly on the time spent as a young man, just out of school at the Kodokan, the HQ of judo in Japan. 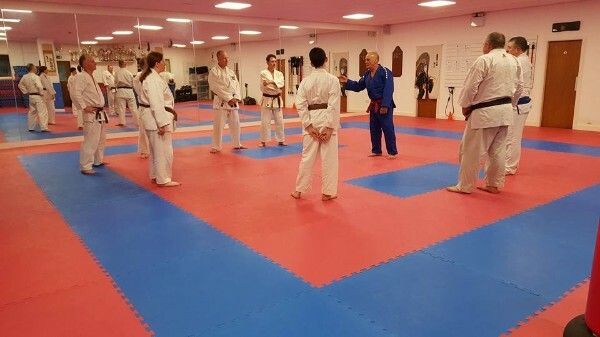 He pointed out that in the 60s and 70s karate, judo and other Japanese martial arts were often taught and practised at the same club. With lots of shared skills and techniques across the disciplines, Brian was able to offer something to everyone on the course. His stories served as a foretaste of the contents of his autobiography, and Brian cheerfully signed copies for the delegates. 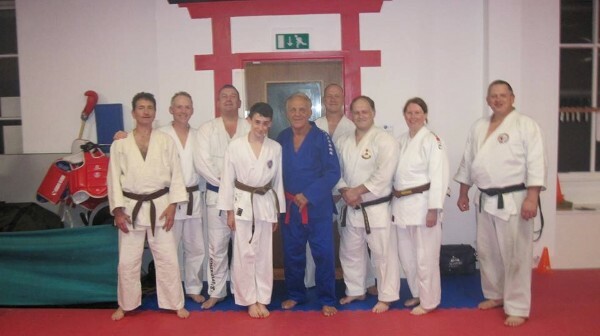 Commenting on the seminar Allen noted; “It was a privilege to have such a legend of the martial arts at our place. I can’t wait to get started on the book”. Brian’s book is not currently available in the shops or usual online outlets. You can purchase it direct from Brian via email on bjandmg2017tour@gmail.com at a price of £19.99. You can follow Brian’s UK tour on Facebook.